A classy wedding stationery that is just perfect the way it is with its exceptionally simple design but elegantly appealing. An excellent partner to its matching invitation as it features the laser cut design on its bottom edges in white. 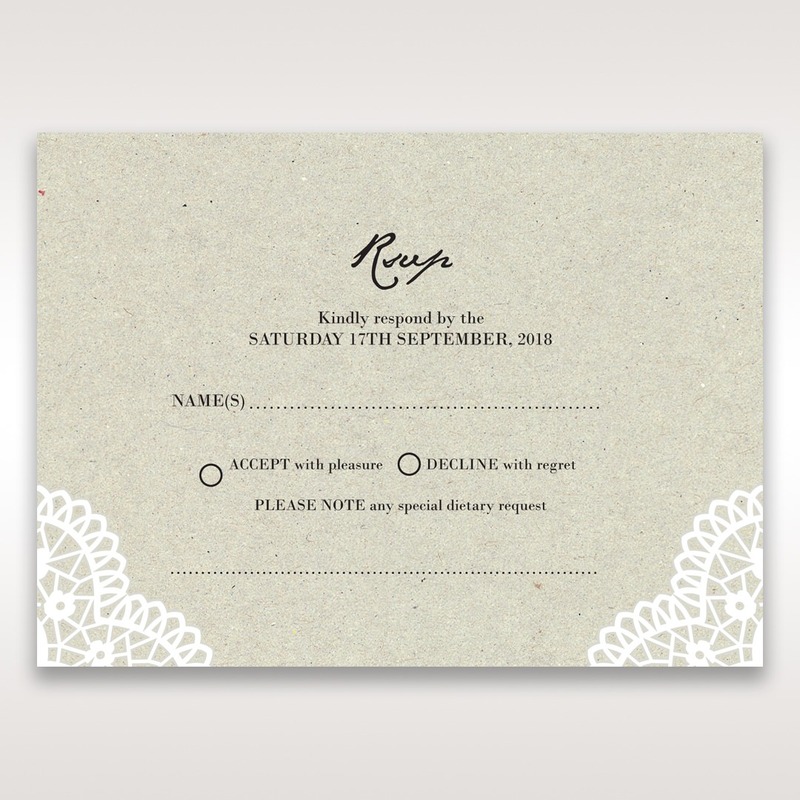 You can also customise this RSVP card to reflect your wedding theme and the personalities of you and your partner’s by changing the theme colour, font style and font colour. For a completely personalised design, use your own wording and layout or add a monogram at the top. This stationery comes with a complimentary envelope that can have your address printed on the front at an extra cost.